Hashtags are a user invented and community adopted keyword search excelling in simplicity, speed, and accessibility. They were born on Twitter in 2007 after a simple tweet suggested using a pound sign in front of a subject. After needing to manually search the tags for a while, Twitter implemented a clickable search in 2009 and the rest, as they say, is history. Their usefulness and approachability could not be denied. Pretty much every social network followed suit and users have been keeping their posts effectively sorted ever since. 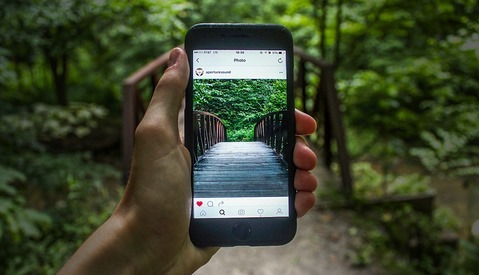 While the idea of hashtags was widely understood, no network embraced the culture and potential of them like Instagram. When their version of clickable hashtags launched in January 2011, the company suggested users go beyond generic hashtags like #photo or #good and make them more specific and targeted to reach other like-minded users. This small push of direction from the top helped a number of users stand out from the crowd and almost created a gold rush scenario where certain hashtags used at the right times could lead to a number of new likes and followers. There are a ton of accounts dedicated to the promotion of photographers. Our Fstoppers Instagram has almost 400,000 followers and exists as primarily a showcase of exceptional work from our readers and writers. Like other feature pages, to be included when the results when the page admin is looking for new photos to share, you only have to include #fstoppers as one of your hashtags. Most feature pages will include their rules and instructions to be featured right in their bio. Recently, Instagram even added the ability to have clickable hashtags right on an accounts profile. People will argue about exactly how many hashtags to include but keep in mind that the maximum is 30. Unlike Twitter, you can edit posts on Instagram to add or change hashtags. You can even just add a hashtag to a comment and get the same result. One thing I suggest is to also include some local hashtags from your area. It is a great way to support and promote the surrounding community you live in. The hashtag #buffalove comes to mind, which has been universally adopted where I live here in western New York. 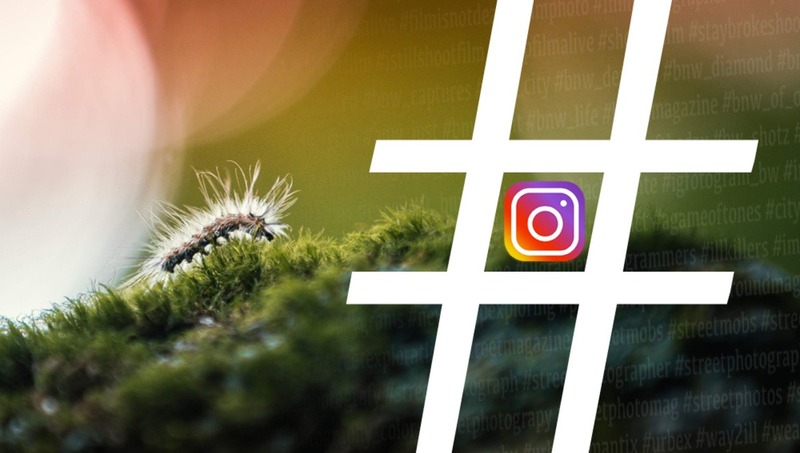 Adding hashtags to your Instagram post can be done on the fly using auto-complete, but the pros use copy and paste to quickly boost their visibility without taking too much time or effort out of an already busy life. 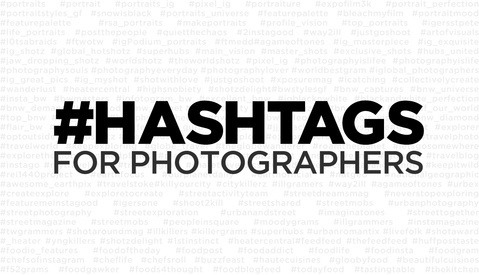 Whether you use a cloud solution like Google Docs or your phone's notes app, here are some discipline-based hashtags to try on your next Instagram share. Please note that some of the groups have more than the limit of 30 hashtags. This is simply due to the popularity of the genre. Feel free to choose the ones that apply best to your style. There is a line break for reference at the 30 tag limit. Like our previous guide, we will group them by genre with the number of tags in parenthesis. Thanks to Nick Pecori for such a great initial list of hashtags to build off of. Or of course the sport you shoot plus the words photography, photographer, photos, and photo. 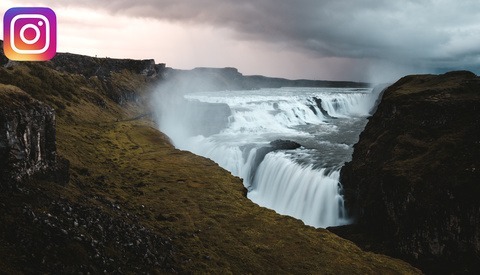 *Adding the location after the word "travel" is a great way to tag your travel photos. Will adding these suggested hashtags to your post do the trick to bring you more followers and all the fame and fortune that come with it? I'm not so sure about that. But it will certainly help more than doing nothing or not putting any thought into the success of your posts. If you have some good hashtags we may have missed let us know and we'll do our best to edit them in for everyone to use. Make sure you try browsing all of these new hashtags you're adding. Millions of people all over the world actively post to them so expecting to blindly add some copied hashtags and walk away is doing it wrong. Check out some of the other photos shared to them. You may find inspiration, or even make someone's day with an unexpected like. Good luck and happy hashtagging. The one I use is Unfollowers for Insta 2018. There are many Instagrammers out there who will follow people in hopes that person will follow them back, and then they will unfollow several days later. It became a problem for me, so I downloaded the app so that I do not fall into their trap. A suggestion for being featured, research the feature tag for local areas. This is especially true if you live in a big city or near a tourist attraction. So far, all of my features were with Instagram profiles focusing on a city or university. #chickswithbig_____ (fill in body part of choice). After 5 years of IG, I finally left. Had 4 accounts and one with over 10k followers. I don't shoot full time and do not make a living off photography. It's purely for self enjoyment and the occasionally job here and there for people that know me. IG became a burden. I was become less creative and chased features instead. I was fun in the beginning, but got tiring. A lot of times, it was the same stuff over an over. Started to question why I'm doing it. Decided it was really just bad for me so quit it cold turkey. It's been over a year and I've not looked back. I now shoot with purpose and don't it "for the gram". That makes a lot of sense. Thanks for sharing the perspective of someone who has come out the other side. Glad you have gotten back to enjoying shooting. On a side note, what's your asking price for the 10k account?